I love myself some fro-yo, especially the frozen yogurt, but that is a thing quite rare to find in Japan. If you want a good one though, Ministop has you covered. 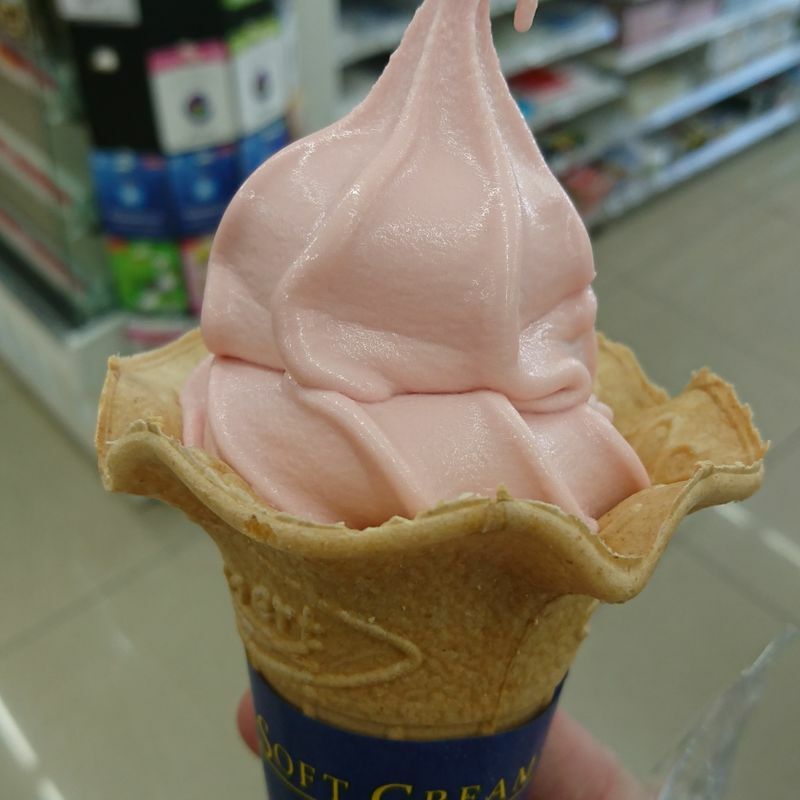 Their strawberry frozen yogurt cone is flavour-ful and absolutely delicious, and it is also a great sweet after a meal. I would have wished the cone was a waffle cone, but since I eat it for a quick switch of flavour, the lighter cone is not bad either. Now, one advice I have is that if you fill up gas at Cosmos Gas Stations, they occasionally have promotions for Ministop's frozen yogurts. I did that so the 220yen dessert became 170yen.